The Chevy Cruze may be a popular pick for its sleek exterior and lively performance, but the Chevy Cruze interior just might be our favorite part of this customer favorite. 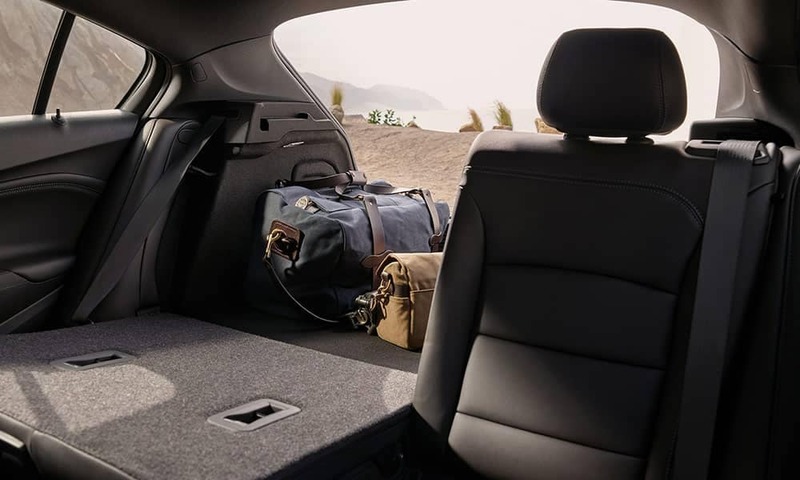 Not only does the Cruze boast plenty of space-saving features with a comfortable cabin design, but the 2019 model is positively packed with technology to make your daily drive more enjoyable. Get a sneak peek into the latest Chevy Cruze dimensions, and be sure to schedule your test drive with our experts at Sullivan•Parkhill Automotive Inc today! The Cruze may be a compact car, but you wouldn’t know from the spacious Chevy Cruze dimensions. The Cruze seats five passengers comfortably, and upgrades like heated seating and leatherette trim add an upscale feel to your morning commute through Mattoon. The 60/40 split seating design also maximizes every square inch of space in the cabin. Fold down half of the seats to accommodate bulky lumber or furniture, or fold down both seats completely to create up to 42.7 cubic feet of space to fill. Extra options like cargo area tray and a cargo net help secure your valuables in place while hitting the road, and available features like Universal Tablet Holder and USB ports provide the perfect spot for your electronics. Whether you have an iPhone or an Android, the Chevy Cruze specs have you covered. This car supports both Apple CarPlay and Android Auto, so you can access everything you need on the go. Want to unwind with some music? Try Bluetooth audio streaming with the standard 6-speaker audio system, or upgrade to the Bose premium audio system to turn your cabin into a concert hall. If you need access to some of the fastest internet around, activate the available 4G LTE Wi-Fi. This innovative technology provides a signal to up to seven devices, so there’s no need to worry about a dropped signal. Ready to get behind the wheel and experience the Chevy Cruze specs up close? Visit Sullivan•Parkhill Automotive Inc to explore the entire lineup in person. Preview the Chevy Cruze inventory online, and feel free to contact us to set up your test drive today.